I’m lovvvvving my lashes and I’ve been wearing them on the regular. The ONLY suggestion I have which is why I only gave 4 stars is the magnet needs to be a tad wider toward the outside corners of the eyes. I find that mine lift a little because of my particular eye shape but I’ve been playing and figured out how to manipulate the lashes. All in all I give this a hundred thumbs up!! You get what you pay for ladies so choose One Two!! I have extensions on so I waiting until most grew out to try my new magnetic lashes. My first night of trying to put them on – I gave up. I was tired from work so I knew that wasn’t helping my quest. The next night I got them on without much effort (I know it gets easier). Wishes – wish they were curved and fit more of the eye area. Wish there was an “assortment” of lengths to mix. They are actually pretty neat and I have gotten several compliments! I have a 1 year contract with my extensions, but I will be ordering another set of the One Two Lashes to wear in between my fill ins (then FULL TIME after my contract expires). Thank you for giving me eyes again! It took a while to put them on but it gets easier each day. I would suggest that they somehow be curved rather than straight as they would look more natural than a straight line on the lashes. I did find out unfortunately that if one lands on your hot curling iron it will melt instantly! So I put them on now away from my iron. Well I am getting used to putting them on I lost one lash already the top left As it fell off my eyelashes while I was adjusting it on and it must have stuck onto something ! I didn’t know about the bold lashes But I will consider getting those too! They are good! It’s serves me well to give me the extra boost I need for my lashes! I just feel they could have been a little wider for more coverage on more of the eyes rather than just the ends! Asian eyes are abit different too which I am …but I still love them! I like that they are easy to apply. It wished they covered more of the width of my lashes. 4 out of 5 Great! These lashes looked great! It took me some practice to get the hang of it but I knew that going in. I did (gasp!) trim mine a little but that is because I wanted a more natural look. I did put mascara all over my lashes rather than just the inner corner and that really helped with the blend. I would absolutely recommend these. They won’t be everyday wearing for me, but I will wear them way more often than the gross glue application lashes! Yay! I like these lashes. I love the ease with which they are applied. I used eyelash strips with glue for almost a year, and love how much easier my morning routine is without glue. A few observations: One Two lashes seem too delicate; to pick them up from the case often bends the lashes; to hold them while putting them on also seems to bend them. I would like them to be a little longer. I am using the original and am considering the bold because the regular are subtle and pretty, but not as obvious as the full strip with glue lashes I was using. I’ve received these last week. When I first got them I tried to put them on and had such a difficult time. It took me 30 minutes for my right eye and it still didn’t look right. I thought maybe I’ll try me left eye… that was even worse as I couldn’t get it on either. I got easily disappointed but I am a very determined to get these on. I tried the second day still no luck. The following week I watched another video on how-to at work and I went home tried again and behold this time I was able to do my right eye within less than a minute and the same with the left eye. I find what works for me is to have your mascara on then apply the magnetic lashes as this gives them something to hold onto while you are placing them on your natural lashes. I tried without mascara prior to applying the magnetic lashes and they did not work as well. I hope you find this review helpful and one last note is to have patience and lots of practice which will eventually get you there. I think I will be ordering the bold and another set of the original. No more strip lashes for me. Thank you Katy Stoka for the great concept of magnetic lashes! Love these lashes and the concept. SUPER easy to apply. No joke. My only “complaint” is that I wish the lashes covered more area. These seem to cover only the outer part of the eye where as , I wish it would cover more of the eye area. Nevertheless, a great product and well worth the price. I absolutely love these lashes and I think they are genius, but I think they still need some perfecting. It didn’t take me long to figure out how to get them on. They are so light and comfortable, I couldn’t even tell I was wearing them. After wearing them only a couple of days though, I felt like my lashes were a mess and had gaps in between. If I can’t get them to last more than a week, that is not good. I gently took them off as instructed, but they are very fragile. I love how natural they look though! I wish they were a little longer across the eye, and I wish they didn’t stick up as much as they do at the outer corner of the eye. All that said, I still love these lashes and actually bought another set of the original and a set of the bold to try. They are by far the best thing out there when it comes to fake lashes. They look so natural and they are the easiest to put on. Keep up the good work and keep perfecting this genius creation! Once I figured out how to apply them (I like to apply them bottom lash first and then top lash- it was just easier for me to get it closer to my lash line that way), I really like them. I have really bad allergies to a lot of things and unfortunately, lash glue and certain mascaras are part of that, so these were a great fix for me! My only negative here is that I wish that the lashes curved more on the ends. Sometimes I feel like they stick straight out toward the end of my eye. Love the idea behind these lashes! I do wish they were curved a bit. A straight line of lashes can’t hug the curve of my outer eye without looking a little obvious. I had to trim the Originals a bit shorter to fit so maybe I should have started with the Accent lash. And I was hoping to ditch mascara, but my lashes are light so I still need to use some for the Originals to blend in. But overall, I’m liking and would definitely order again if a curved lash became available. As expected it took a few days until I got them on just right but now that I’ve got the hang of it it’s easy! They look amazing without looking too over-the-top. I wore them to my 35th class reunion and felt great. I danced for hours (and sweated) and they stayed in place. I forgot I was wearing them until I went to the restroom and saw myself in the mirror and still looked great late into the night! No mascara melt down! Love my one two lashes! 4 out of 5 Lashes ... DIVINE! I love these lashes! My eyes are super sensitive so the whole glue on thing never worked for me. I also have a gap in my natural lashes on my left eye and these work perfectly to fill it. The only downside would be that they tend to lose their shape and I kind of have to strategically place them into the case so that the lashes sit with a curl so they’re good to go when I need them. I also wish they covered a little bit more of my lash line. The lashes closer to the center should also be a little shorter to go with the natural flow of eyelashes. Having them all so long makes it look wonky if it cuts off to shorter natural lashes so harshly. I have the original lashes! 4 out of 5 Very Comfortable! I really like these lashes; however, it takes a lot of patience getting used to putting them on. It took me about a week of On & off practice with lots of frustration to do it but well worth it. I have worn false lashes off & on most of my life so I’m used to the application, this is not the same as they don’t curve with your natural eyelashes. I guess this is due to the magnetic strip even though it is short. When you get them on they are super comfortable to wear! You hardly notice your wearing them at all! I gave 4 stars b/c the application process is a little tough to get used to & I think there is room for improvement on these lashes. So….I am still in the practice stage. Experiencing some issues especially with applying the left eye as my vision in this eye is impaired. I’m sure I will be fine with time. I’m a retiree so I won’t be wearing them for everyday and will use for special occasions. love these lashes my only complaint is I wish they were wider and covered more of my lash line, Does anyone else have this same problem? I hope they are as easy to use as advertised! My eyelashes are soooo Short and curly, I can’t wait to try these out! The lashes are easy to put on after a little practice and look great. I have smaller, deep set eyes and the original lashes don’t quite fit the curve of my eye. I think I’ll keep these for the nights out/when I wear more eye makeup and try the accent lashes which seem to have more favorable reviews for fitting smaller eyes. 4 out of 5 Wonderful Time Saver! These lashes make my morning routine insanely fast! It did take me a few tries to get them right, but now it is a cinch! I work for a financial company and always feel the need to dress nice but lack the motivation to to do a full face of makeup. These are an instant fix and blend in so well while making your eyes pop! Thank you for the amazing produc! 4 out of 5 Love! Had to go on Youtube to figure out how to put them on but ended up figuring out my own way. Very easy and looks great! My only concern is that I’ll bend the lashes taking them off. The magnets work great but is hard to take off without pulling out my own lashes out. I love my magnetic eyelash extensions. It did take a couple of hours to practice putting them on, but now I’m a pro and have gotten so many compliments on them. One of my friends just ordered her set. My only issue is I do wish they were a bit more curve on the base and maybe two magnetic strips instead of one might be good if you made the strip of lash longer. But all in all I love these lashes and am so happy I got them that I’m going to get the bold ones too! 4 out of 5 Love the concept and ease!! I love the ease and concept of my new one two magnetic lashes! I did not like messing with lash glue, so these are perfect! The only thing I would say is that they don’t curve enough to lay with my lashes. Looking forward at my face they look fantastic, but when turned to the side you can see that I have fake lashes on as they are straight on top of my lashes. Other than that, I love these! I am actually going to buy the accent lashes!!! 4 out of 5 Original Lash - Gorgeous! I LOVE these lashes! Soooo much better looking and easier to maintain than the extensions I was addicted to. The only reason I gave four rather than five stars is the amount of time it took me to get used to applying them without making multiple attempts (and messing up a couple of pairs – but so very worth it!). Thank you!! I’ve never used false eyelashes before. These are great once you get used to putting them on. Will buy again for sure. They look great. 4 out of 5 Great product! I really have come to love these lashes. They are seriously lightweight and when you get them in just the right spot you definitely can forget you’re wearing them. Almost went to bed with them on last night! It did take a little bit to get the hang of putting them on but after a week I can put them on super quick and sometimes without even looking in the mirror. I’ve found I don’t have to put a ton of makeup on when I go out for daily mommy chores. Just stick on the lashes and my eyes pop. Do wish they would have a bit more curve on the base to fit along the eyelid but honestly once I got them in the right spot, it wasn’t so much an issue anymore. Easy – I would definitely recommend. 4 out of 5 Still learning! I am still learning how to put the eye lashes on, but once on so comfortable! My eyes are so small and I think the lashes make such a difference. I have already shared your product with many of my friends. Would love a mixed box of eyelash choices. The lashes are fairly easy to apply and only took a couple tries for me to get them where I like them. They made my lashes look fuller and longer. I think they would be better with a smaller magnet on the edges to create a more natural lash curve. Also, it would be nice to have a mirror in the storage compact so users could put them on on-the-go. It did take me a hot second to figure out the application, but once I got the hang of it these are amazing. They are super light and I forgot I was even wearing falsies! They aren’t as thick as I usually go with my false lashes, but they are much more natural-looking. My favorite part is that there is no glue 🙌🏻🙌🏻🙌🏻 Highly recommend! 4 out of 5 THE FUTURE IS NOW! These are awesome. I am leaving 4 stars because they are a bit challenging to get on. BUT, practice makes perfect. I am getting better at putting them on every time I try. They look great and the best part is NO GLUE! It is so nice not having a goopy mess on my eyelids. 4 out of 5 LOVE ! I usually strugglt putting on falsies , but with OneTwo magnetic lashes its much more simpler. The lashes are super light weight and have a very natrual look , i literally cannot stop putting them on . I’m i got the chance to try them , this is a great product ! Love how the magnetic lashes work! It took some time to learn how to put them on. I had to read other reviews and saw that it’s easier to apply using the applicator and it made such a difference!!! I love my magnetic lashes! Although it has been very difficult to learn how to apply them. Once they are on though they are a dream! I love that there is no glue involved! So convenient!! I am obsessed! I didn’t think I was going to like these but I really do. I always hear people saying that fake lashes are hard to apply and they can damage your actual lashes. So when I got these magnetic lashes I figured it was the best of both worlds. It takes a little bit of trial and error but once you get it they look so natural. You might have to trim them if they look unnatural on you but overall the magnetic strip is great and they look awesome. would recommend! Love these lashes! 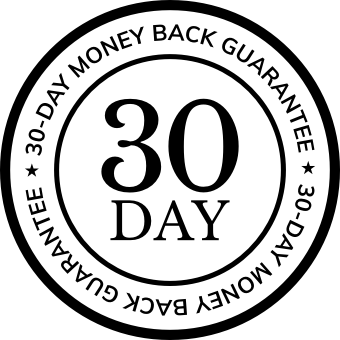 They look natural which I love and you can reuse them which is also a bonus!! Took me awhile to figure out how to put them on but once I figured that out I like them!! So much easier to take off than normal false lashes!! Just going to take practice to get the hang of putting them on! Lovely product. Was a little tricky trying get them on the first time. Found out adding mascara first as a base helps secure the top lashes while I bring the bottoms sets up. Looking forward to new styles or brown ones! I love my new magnetic lashes, really recommend it! 4 out of 5 Wow! These lashes are incredibly easy to apply, comfortable to wear and durable for dozens of uses. 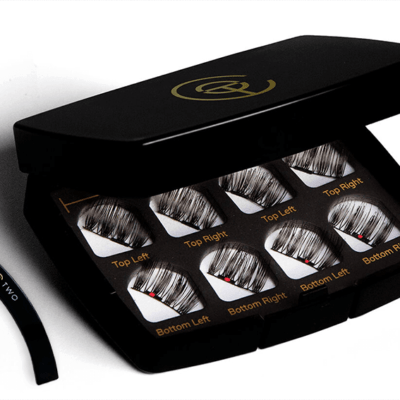 They are a bit pricey but I highly recommend for those who have trouble with traditional falsies. I’m absolutely in love with these lashes–once they are on you can wear them for hours and not feel a thing. It really does take some time to figure out how to put them on. I think it took me close to ten minutes the first couple of times, but once you figure it out it takes maybe a minute. Probably less. I do wish they were longer width wise, and covered more of your eye. But honestly they are genius! It took a minute to apply but once I got them on, these lashes are amazing. I got so many compliments. I am a professional dancer — performing onstage for a living, I always have to wear lashes that stay on through sweat and costume changes. I was so excited when I first discovered One Two Cosmetics. I reached out to ask questions about the three different styles before investing in the product. I have very tiny eyes, and wanted to test the lashes first before jumping into the BOLD lashes. I decided to order the ACCENT lashes. I loved them! I timed myself the first time trying to put them on (took 11 minutes total) — but now I can do it in seconds. They are perfect for my tiny eyes and for an every day look. I wore them teaching my fitness classes and never had an issue with them! They passed the test! I definitely knew I needed more for onstage. I went to order the ORIGINAL (still fearing my tiny eyes could get swallowed by the bold). At check out, I was asked to if I wanted to order the Bold as well for 10% off (well, sure… if I didn’t like the bold, I could return or pass them off to a friend who has been dying to try them). I have been anxiously waiting my new lashes (my show is tomorrow and I timed it perfectly so they would get here in time). You can imagine my disappointment when opening the box and only seeing the original lashes (even though I ordered the bold as well). I immediately called customer service. With no wait time, I was talking to someone. Unfortunately, there wasn’t much they could do to get them here in time for my performance. I offered to even pay more to over night the order — but that was not possible. I had to ask for a refund on the bold ( as sad as I am, at least I saved $$). Long story short, love the ACCENT for an every day look, the ORIGINAL (for me) it too much for an every day look but not enough for the performance. Wish I was able to try the BOLD , but it was not meant to be. 4/5. Only because my order was wrong, and there weren’t any alternative shipping options. 4 out of 5 Easy to use! I have tried other brands for magnetic eyelashes and these by far were the easiest to use! They look great and natural and I’ve been able to apply them close to my lash-line with the applicator. 4 out of 5 Quite awesome!!! It takes me longer to put lashes on suggested; otherwise I really like them. I ordered bold and original and i feel the original looks more real and natural on my shape eyes. The bold doesn’t blend with my own lashes. I would recommend original to anybody. My only hope is soon to be able to purchase full strip magnetic lashes that suit all eye shapes. Love the lashes and magnet. However, the actual lash needs to be all the way across my natural lashes. Or the magnet needs to be longer maybe!?! I will probably order the bold lashes. By no means am I a make up pro. Its rare that I even apply make up at all because my mornings are such a rush to get out the door, so when a friend sent me a link I had to try em and so glad I did! These lashes give me such a natural, pulled together look within a minute and lasts all day! and the magnetic strip is literally undetectable. No annoying glue to mess with or eye irritation and I love how easy it is to remove and store. It’s definitely best to curl your natural lashes first so the faux lashes blend in nicely. You won’t regret this purchase, oh and customer service is so nice! My tracking number wasn’t included with the email and they took the time to look it up for me. My lashes arrived timely and in beautiful detailed packaging. I got my first pair about two months ago and I absolutely love them! I’ve tried extensions but they are too expensive and damaging so these are a great solution. No damage and cheaper than a full set. Saying that though, they do last about as long as a full set, mine lasted about a month of daily wear until I had to order another set. Don’t know if I’m removing them incorrectly but it’s hard to separate the magnets without some lashes ripping out sometimes or getting bent. Not a deal breaker though, just be super careful when removing and expect them to look pretty bad after a month, at least in my experience. But definitely get! Also, these only cover the outer corner of your eye so if you have really short lashes it might be hard to blend them so that these don’t look super fake. That’s also why I haven’t gotten the volume version because I’m not sure how they would look. It would be great it they made a full length lash! I imagine this company and product is relatively new which means it hasn’t developed to it’s full potential, which I have no doubt it will. While you’re waiting for that my advice about it’s length is to invest in the accent lashes or fillers to go with the lashes it might help. It’s what I’m thinking of doing and I think it’s worth the investment. Love them. Takes some practice but definitely they need to be longer to the all length of the lashes. It took me quite awhile to get them on so that they weren’t sticking out too far on the ends. I found that bending the base of the lash a bit to fit the curve of my lid helped quite a bit. Also moving them a little more toward the center of the lid looked more natural for me. I am happy to be done with mascara under my eyes all the time! I really do like these. I notice I’m getting better and faster with putting them on. I wish two things. 1. That there was a curve to the base 2. That the base was wider. I would easily give 5stars if those two issues were addressed- thank you so much. Love these! Wish they had a little more curve but otherwise awesome! I am having trouble getting the lashes secured properly. I love them when I get them on, but it takes me several tries. I love the ease of these lashes and best of all, no glue! The only change I would make is having them stretch across the entire eye. But these are great for everyday use and work! I was really happy once I opened the case and saw that the lashes appeared just like the picture.Once I got them on again I was happy.I am happy with them and for sure I will wear them when I go out pretty much every time I leave the house. I love these lashes. The bold was a little too bold for me, I only ordered them as well because of the review I read where the originals hardly showed up. I found the originals showed up just fine. My only complaints are quality control issues. The box I got, when opened, the lashes were shifted around and under some of the packaging they were supposed to be sitting on top of. The left lash for the top was split looking down the middle, but the second pair left lash was correctly shaped. No amount of brushing at them and trying to shape them correctly resolved the split. When place on the eye, I can hardly tell, but it bothers me that they would send it like that. I have not contacted the company yet to see if they will send me another one. Its the top left. Anyone else have this problem? Otherwise I am definitely in love with them. I do my makeup as usual and at the end I decide if I want lashes. If I do, it literally takes me 30 seconds to get them on both eyes and I’m outbthe door. Theybhave never fallen off or poked me in the eye or itched me. These are awesome! I have short lashes but big round eyes and they work well! It took a few days to get the hang of it, but now I can get them on in about 15 seconds! The everyday set is PERFECT for me, just the right amount of length and thickness that they still look natural! And they don’t hit my glasses! Yay! I only wish they were a tiny bit more curved at the end. Maybe put a plastic wire at the base so people can curve them to their own eye? Thank you for being so innovative! Got these as a Birthday gift. The lashes are nice BUT Please make them to curve along lash line! They are too straight. Don’t look as natural as I thought they would. And they need to be a little bit longer! Can to try a fuller set to cover more of the lashes Please!!!!! 4 out of 5 Must try! I will have to admit that I was not happy with how long it took to get my lashes but once I did,wow! Let me tell you how great these lashes are. I went to the river and rode my jet ski over 50mph, jumped in and out of the water all day long, and even jumped off a 12 foot rock and they didn’t even budge! No kidding these lashes are the real deal. 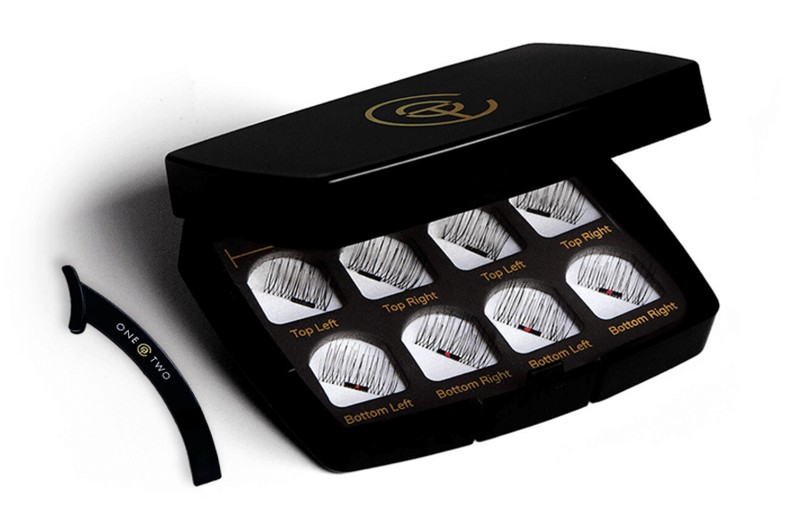 It doesn’t get any easier to put them on either, these are without a doubt a great lash investment. You won’t be disappointed! 4 out of 5 Love These! I waited so long to get my One Two Lashes. When they arrived I pulled them out of the package with so much excitement. Then I put them on…and it was a disaster! They looked so odd. However, I quickly realized that I was just putting them on wrong. After practicing a few times I got them right and now I am obsessed. I wear them every single day and they cut my beauty routine by 80% because you really don’t need any makeup when wearing these bad boys. I highly recommend that f you do buy these practice putting them on a few times, watch videos, and play around until you get them right. I didn’t give them 5 stars just because the wait time and I do wish they were not just on the ends. I want to buy another set to store away, but I am waiting to see if any changes are made first. 4 out of 5 Amazing! I totally love these lashes and they are SO easy to put on! They don’t bother me at all when I wear contacts either. I find they look best when I have just a little mascara on. My only gripe is the lashline is totally straight, rather than curved. However, the lashes aren’t as long as your eye, so the ends kind of blend in. At least, that’s what all my friends told me and we’re all estheticians/makeup artists so I trust their opinions. Thanks for making false lashes easy! 4 out of 5 They are great! I saw the feature story they did on GMA and had to try them out. It did take a while to get but since I knew this going into it, I was fine with waiting. It’s definitely not as easy as they claim and it took me awhile to catch on. I did notice that the “original lash” does not curve with my lid, so it sticks out in the middle. Not really noticeable to everyone else, unless you are really looking into my eyes. I did read from other reviews that if you have “Asian” eyes this happens and to try the “Accent Lashes” instead, so I just ordered that to try out. I can say that the one time that I did wear them all day(it was for 12 hours) and I was working, and they stayed put all day long. If the “Accent Lashes” work for me, then I will probably be a customer for life! I love the lashes, It only took about 5 minutes to figure them out and now they are so easy to apply. I do wish they curved a bit more. Also, when they arrived one was broken 🙁 luckily there is another set in the same order I can use, but I’m kinda bummed.